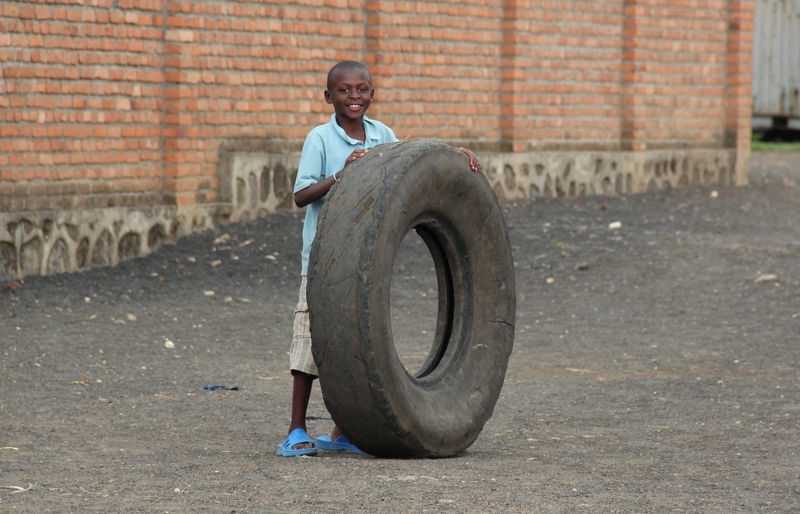 Physical activity was important to the children’s welfare. 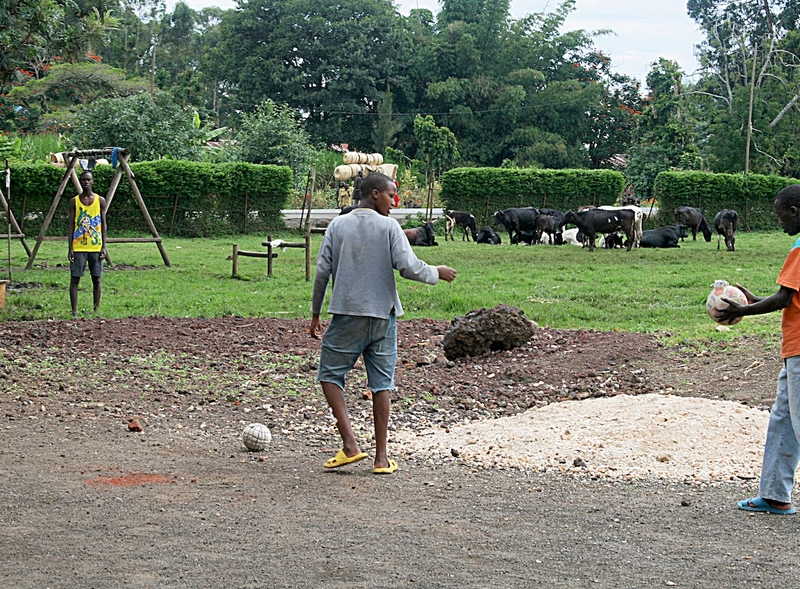 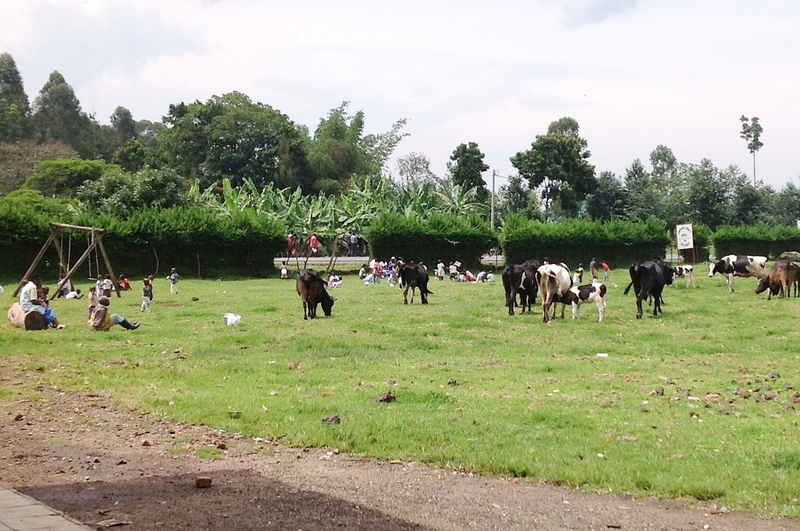 The playing field was the largest space although often shared with grazing livestock. 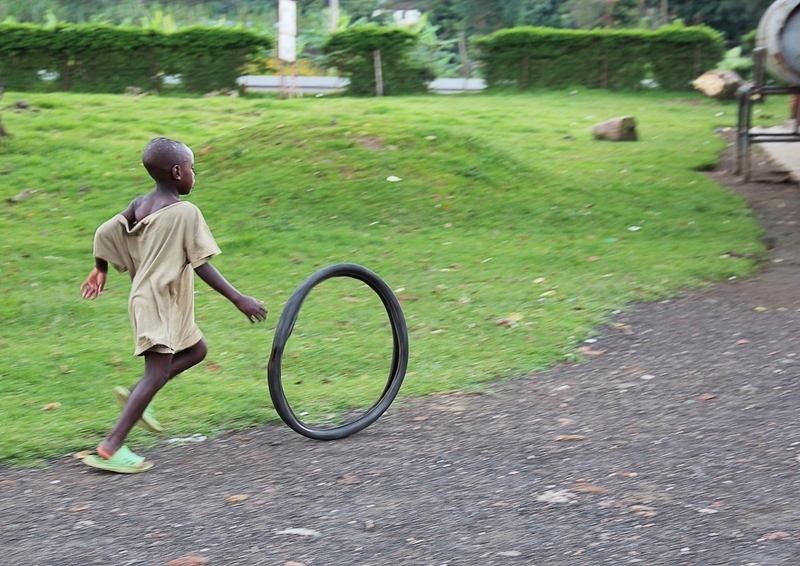 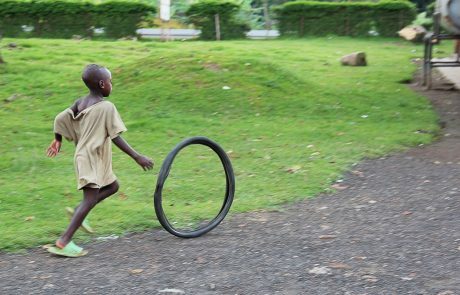 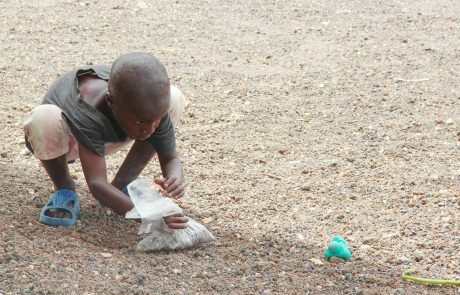 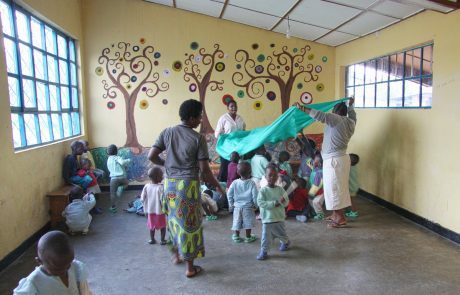 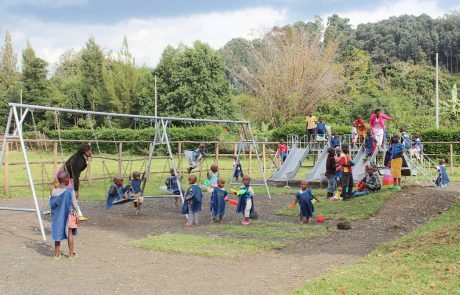 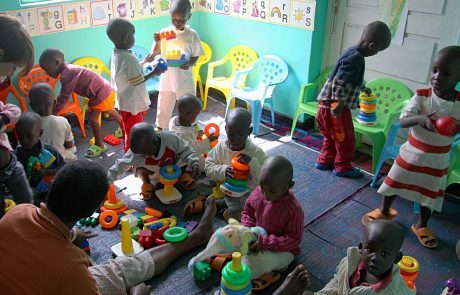 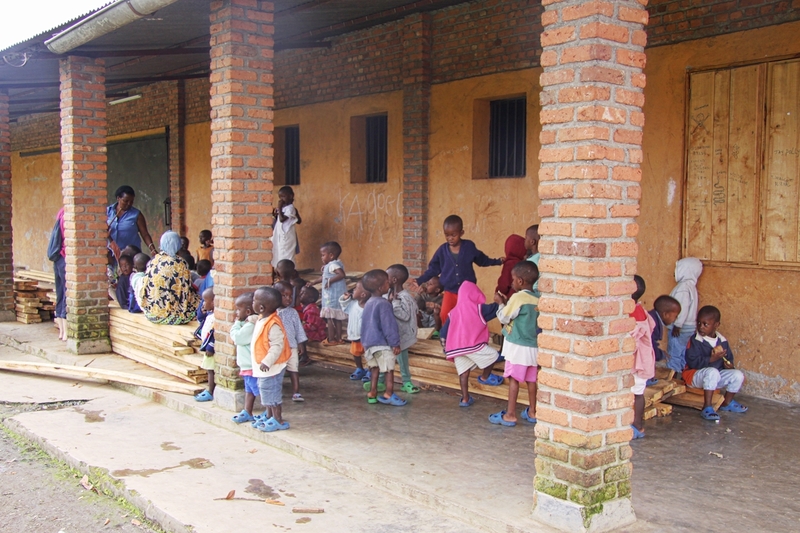 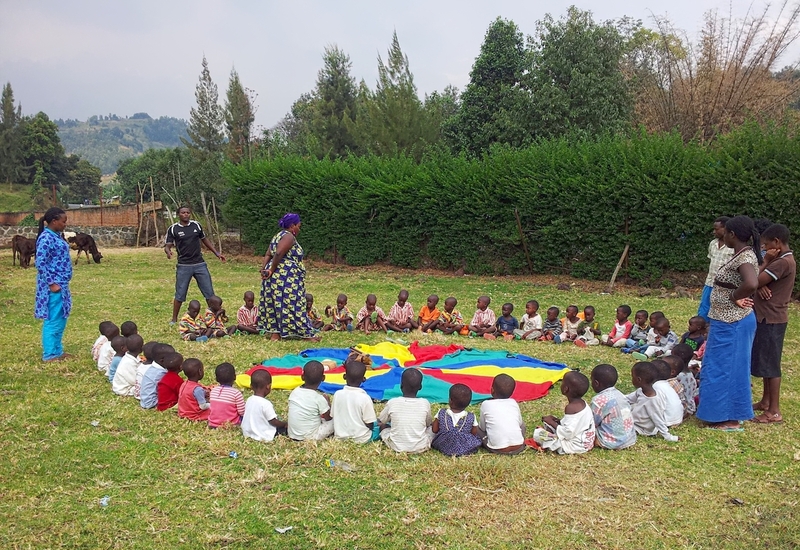 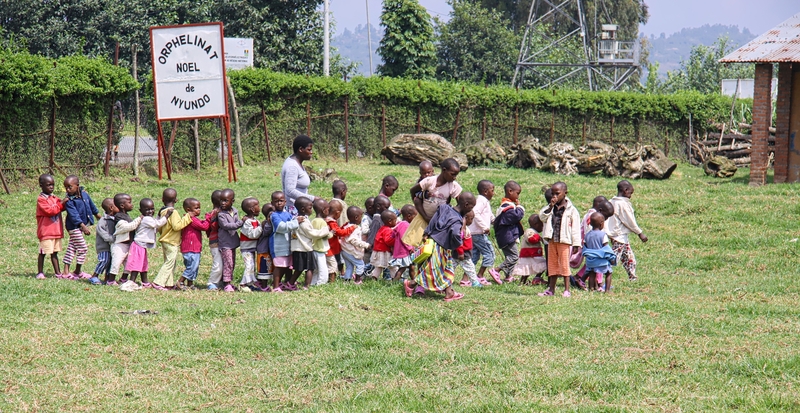 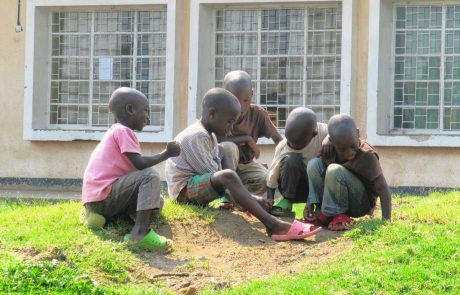 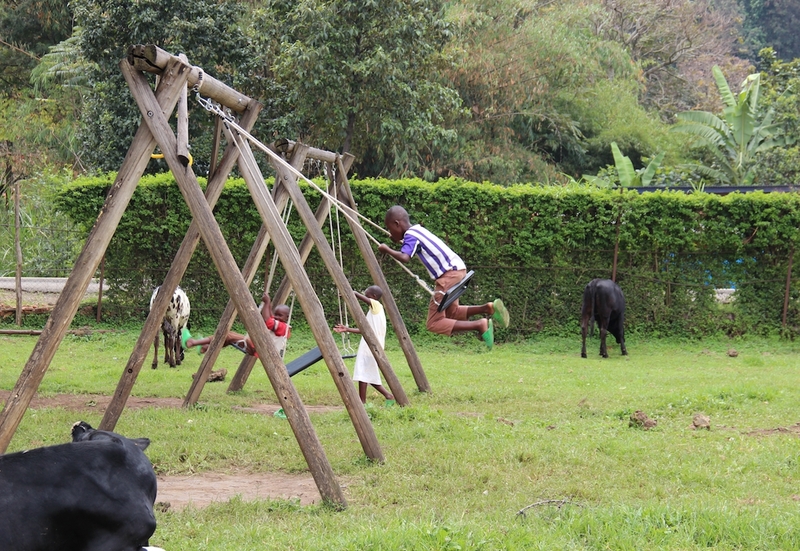 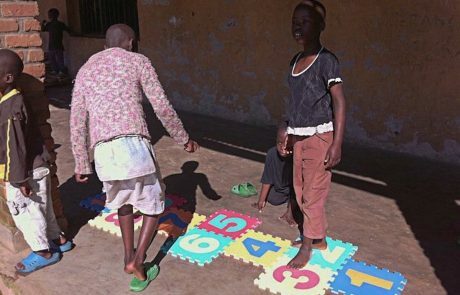 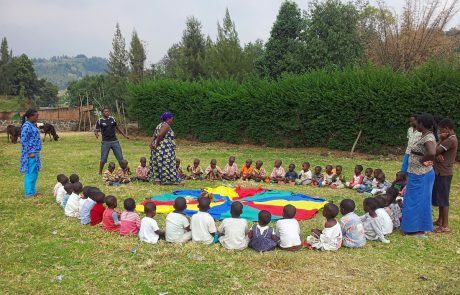 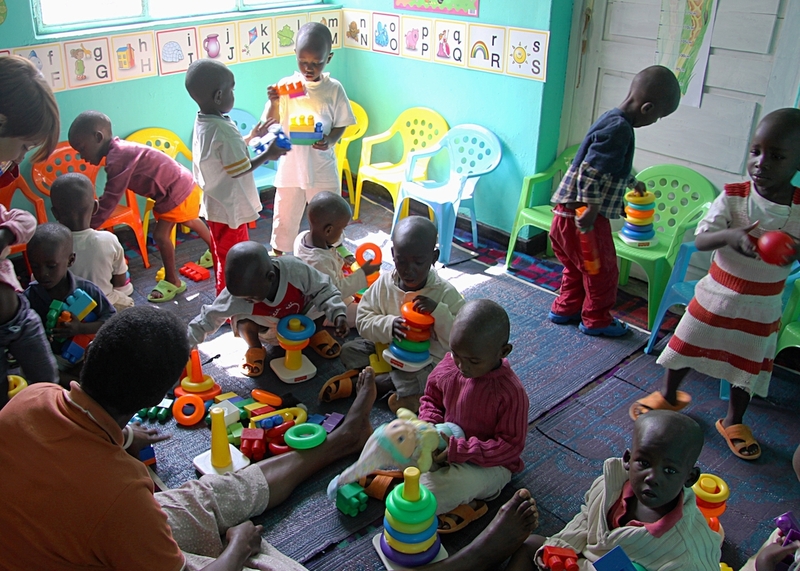 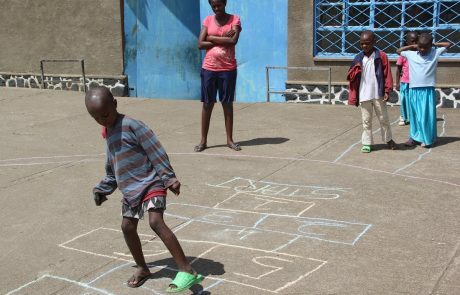 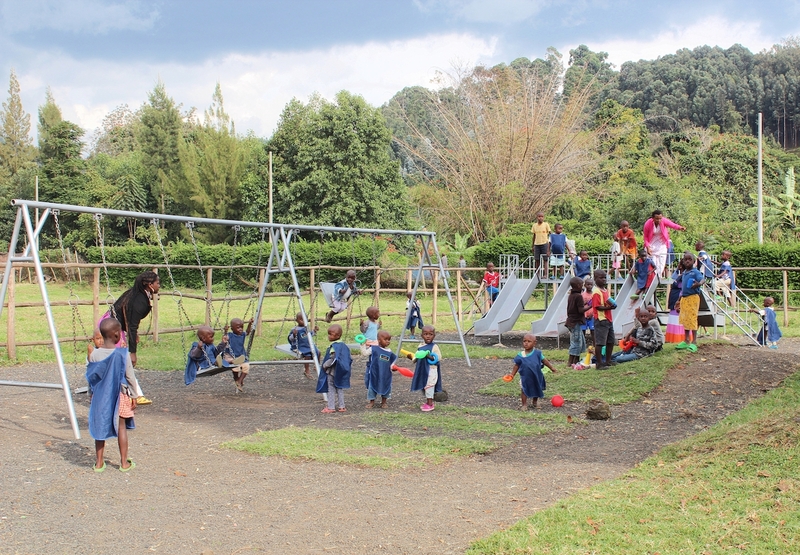 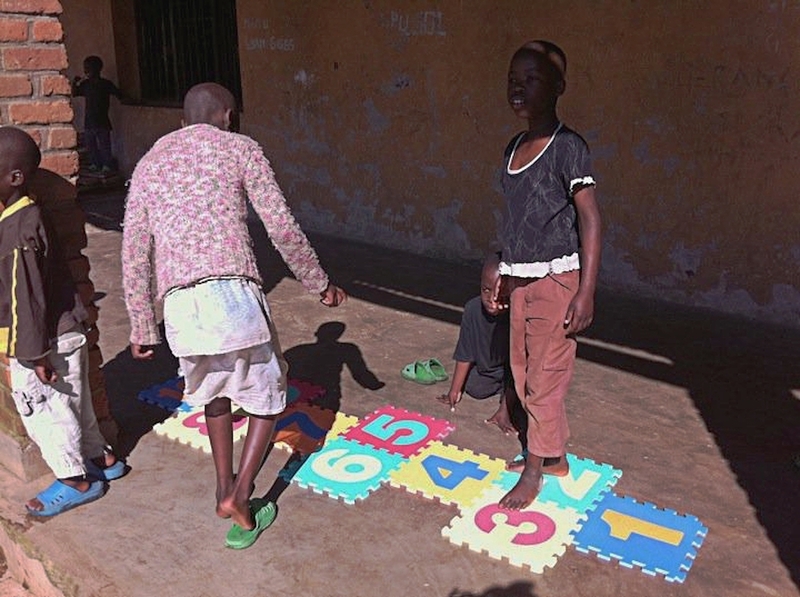 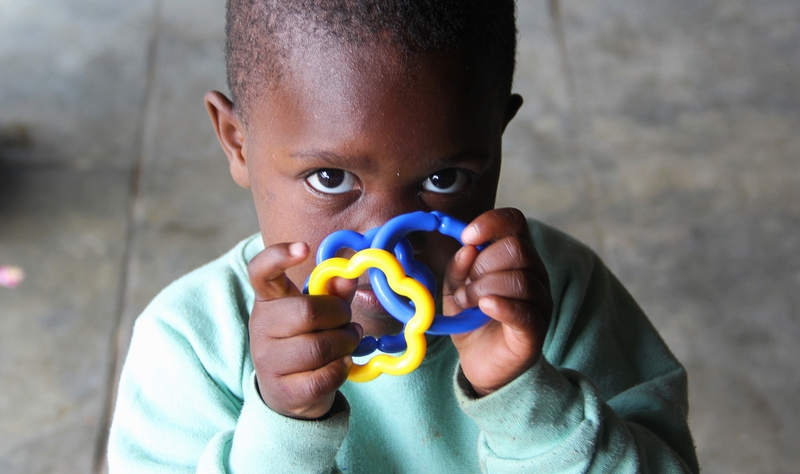 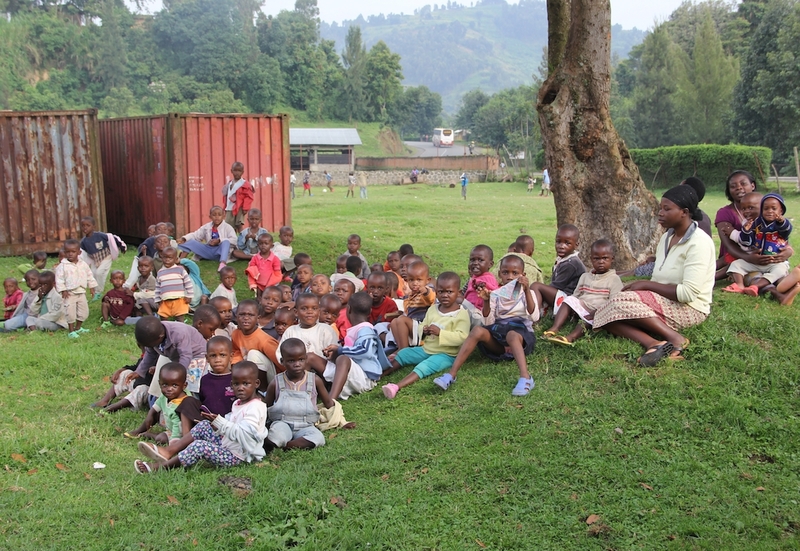 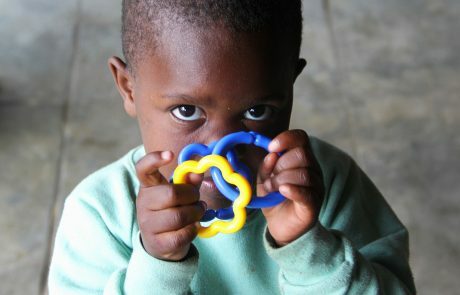 Children entertained themselves with improvised toys, playing in the dirt, climbing & swinging. 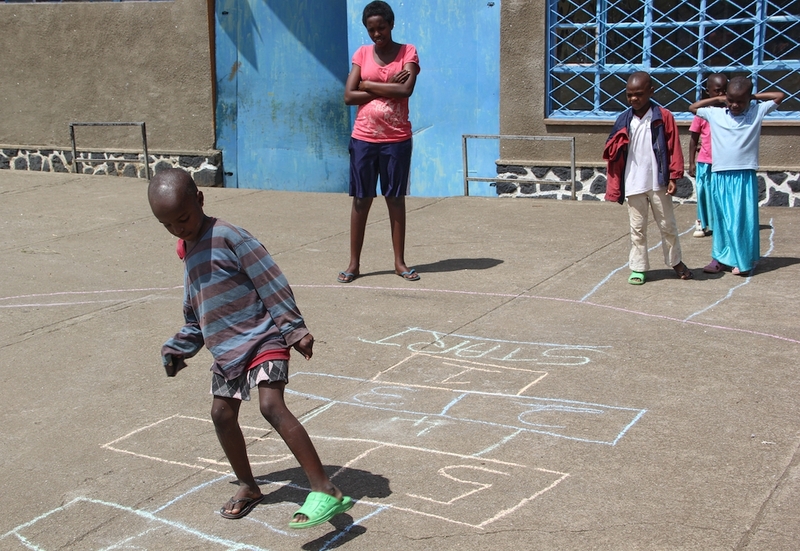 The concrete entrance courtyard was perfect for skipping, hopscotch and ball games. 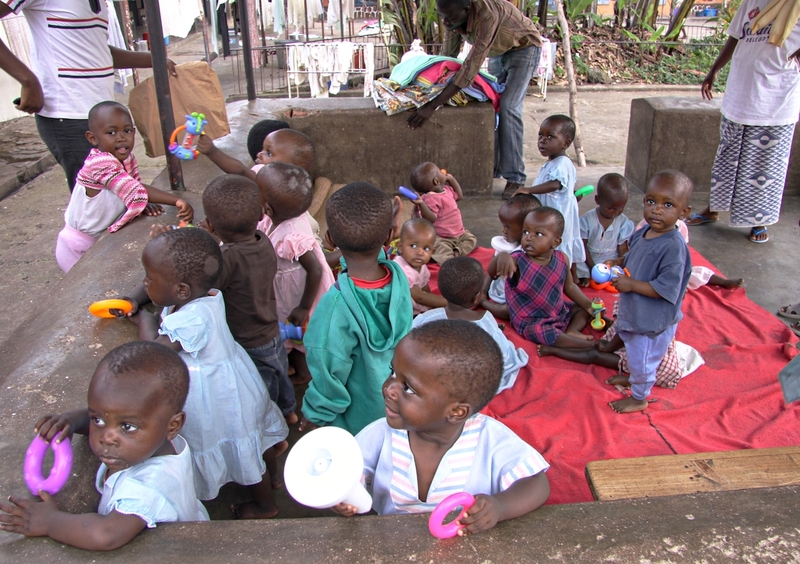 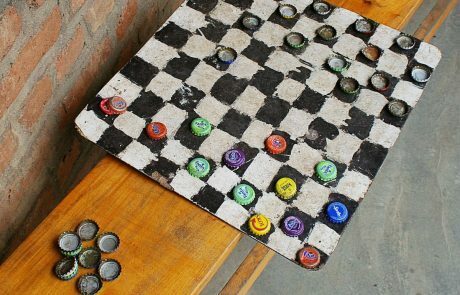 Infants were often taken out of their Quadrant to play in the shade under the workshop’s verandah. 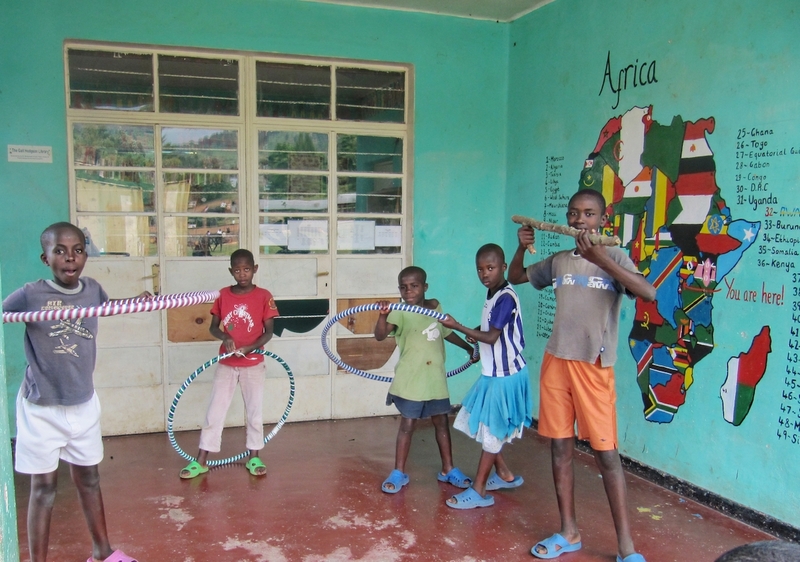 Visitors & volunteers sometimes brought outdoor toys, balls & hoops. 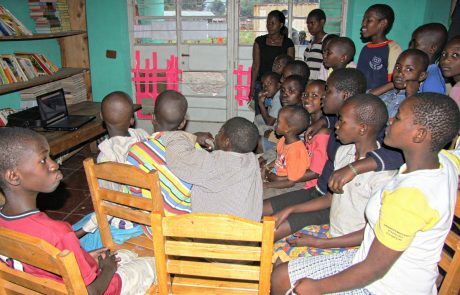 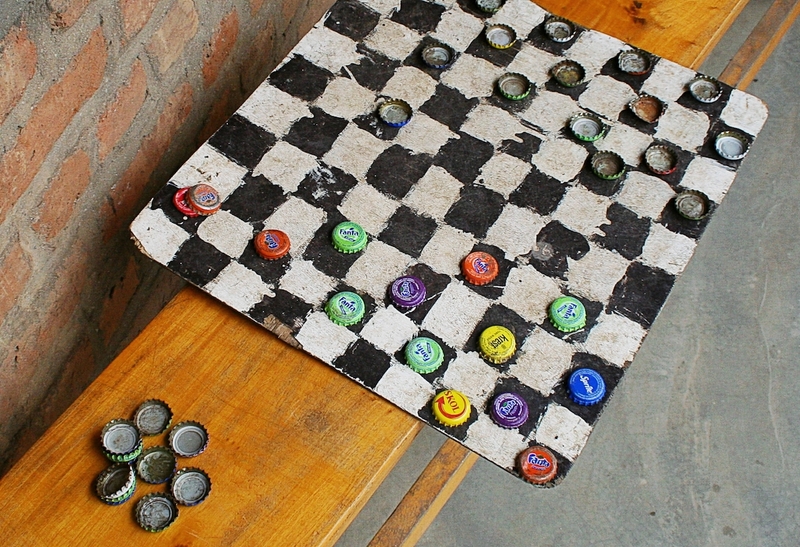 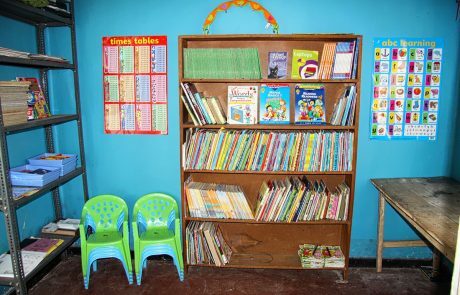 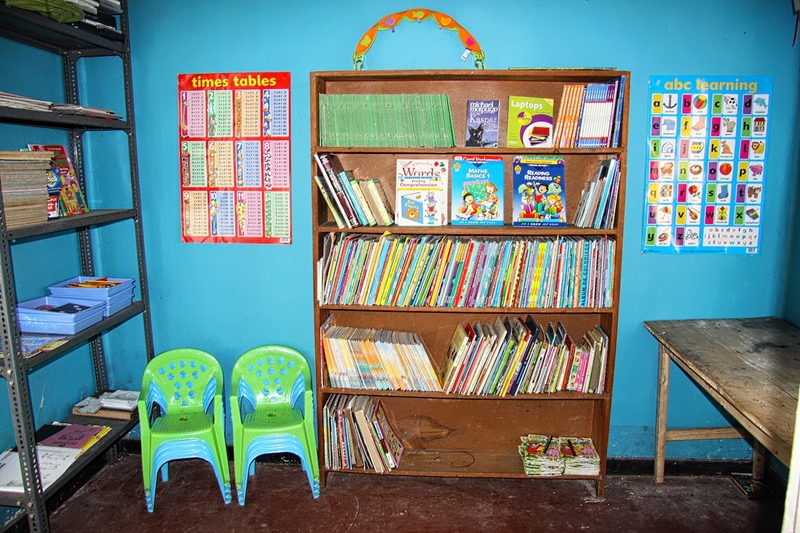 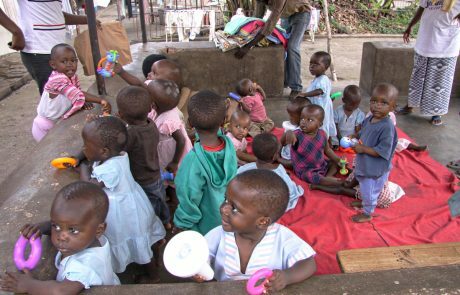 They’d buy books, games & crafting materials for the library as well as DVDs for film shows. Such gifts were locked away when not in use to minimize wear & tear. 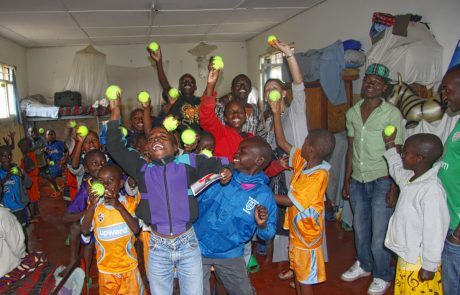 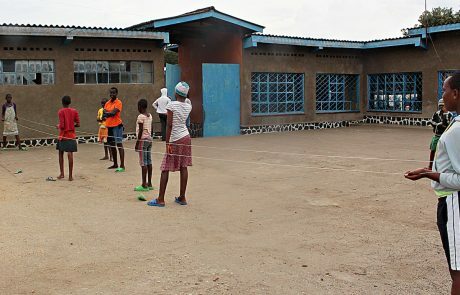 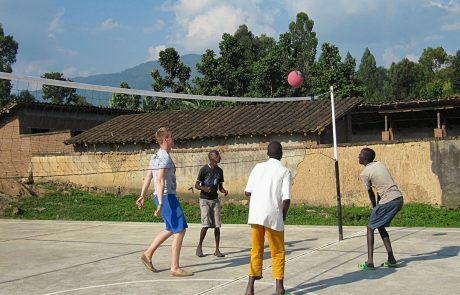 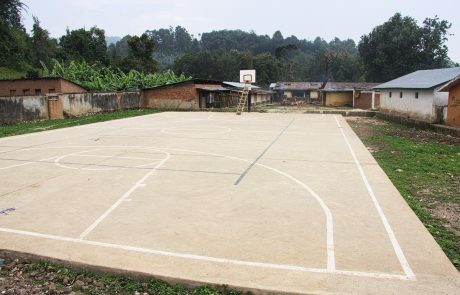 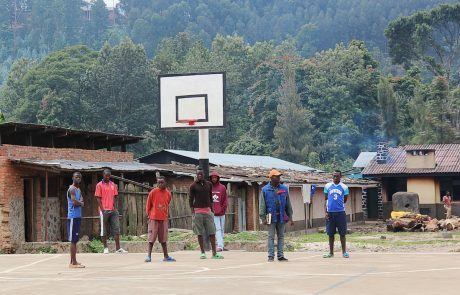 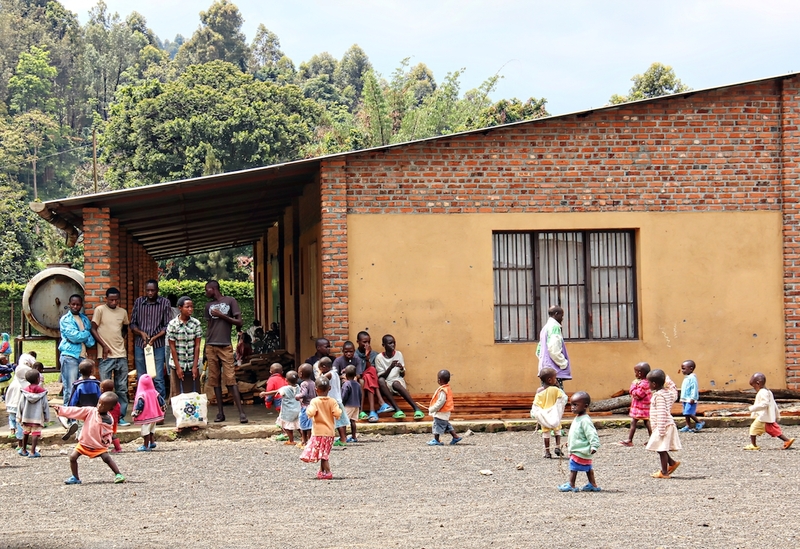 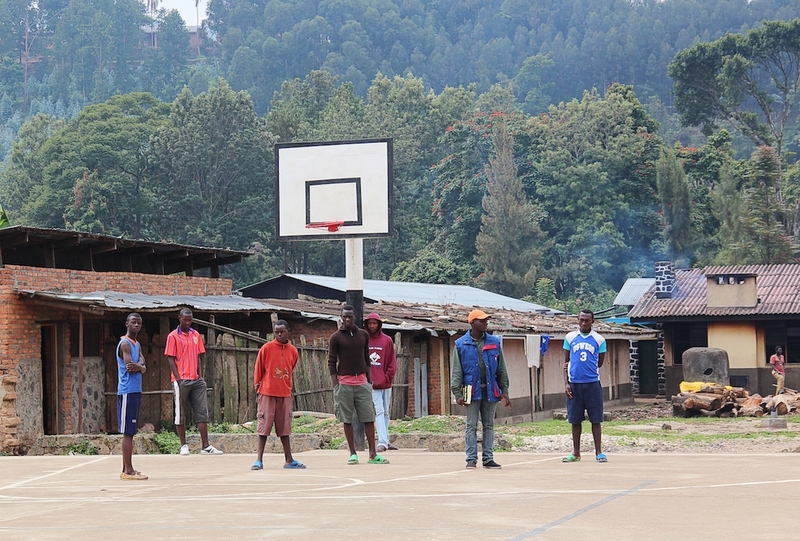 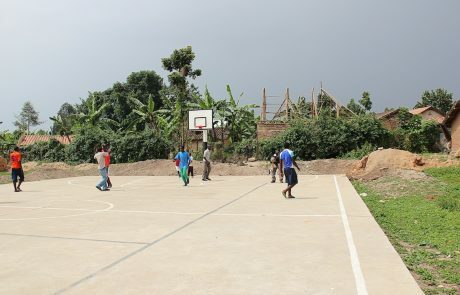 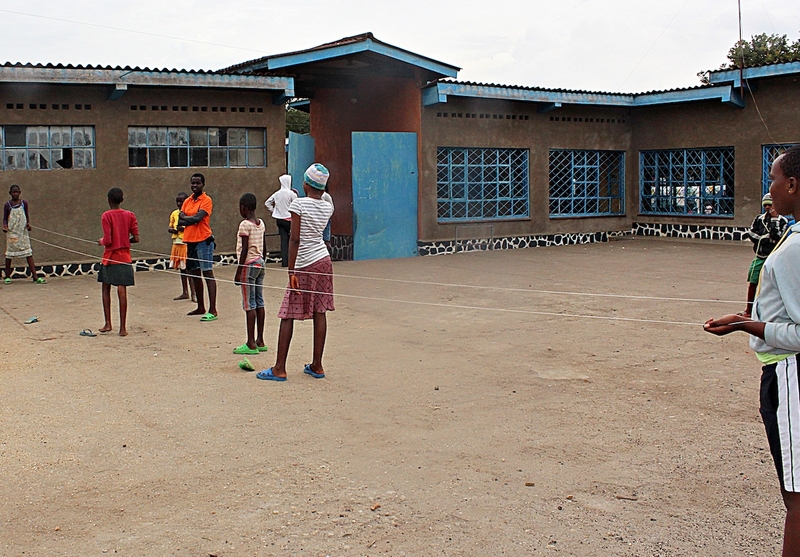 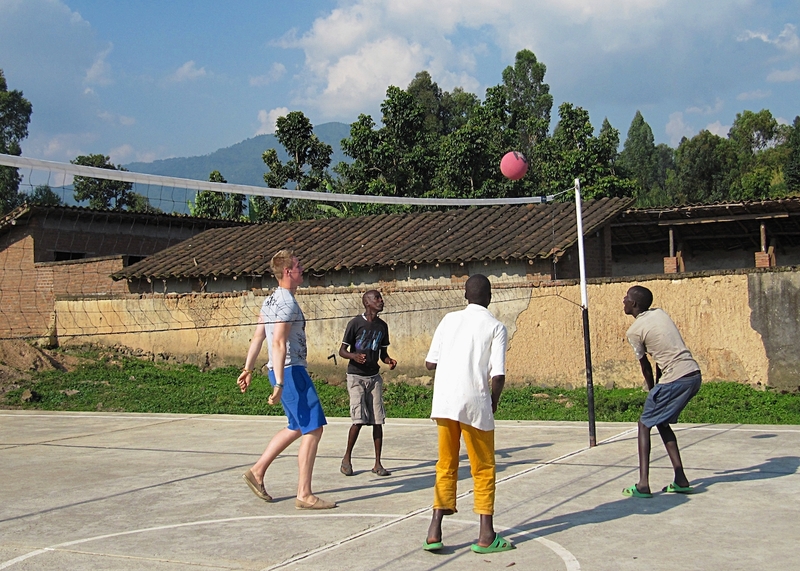 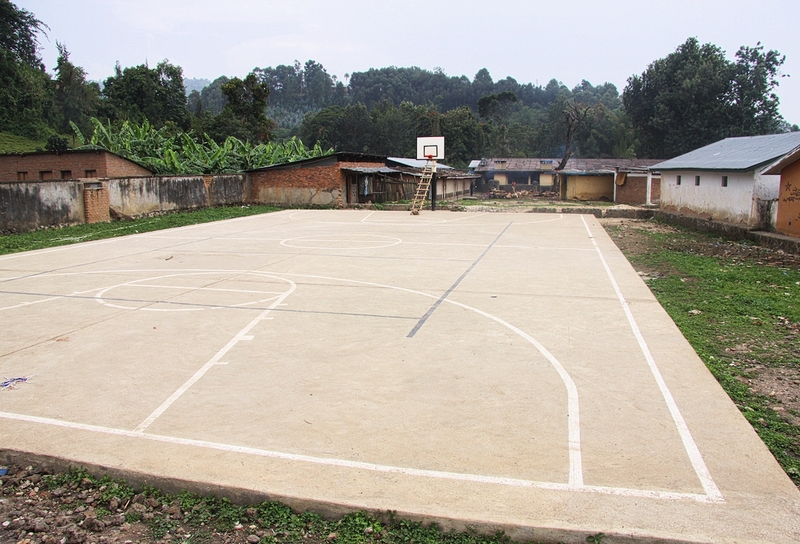 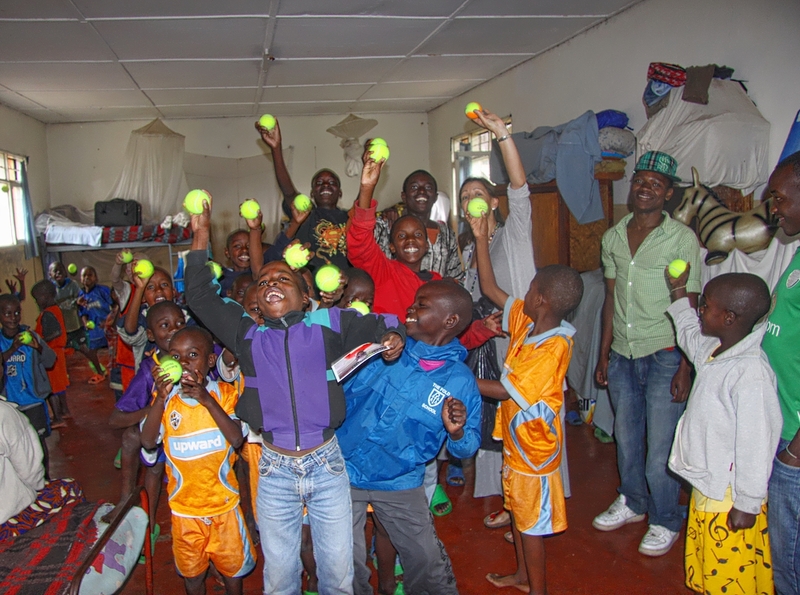 The building of a sports court in the boy’s section of the orphanage added to the variety of activities with basketball, tennis & volley ball and was great for the older youth particularly. 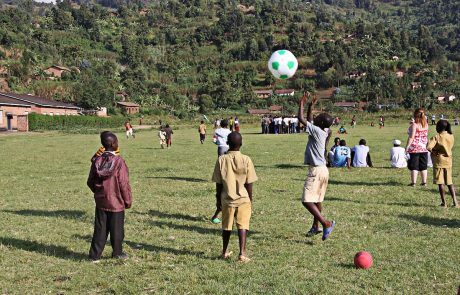 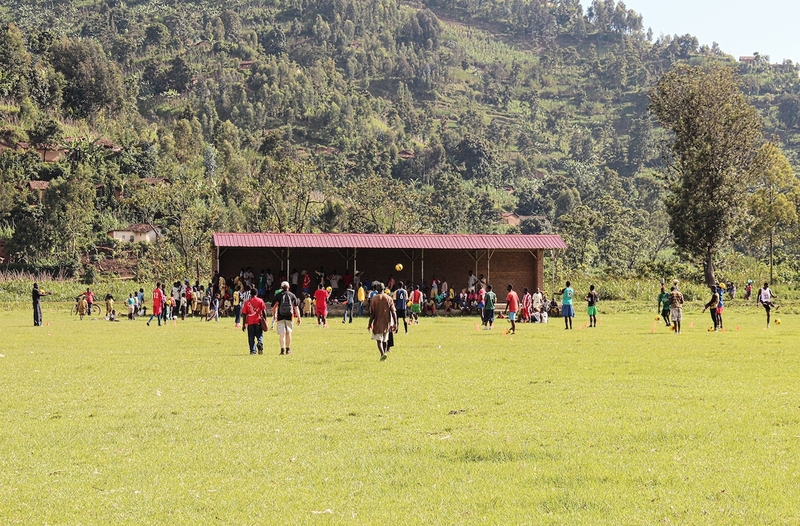 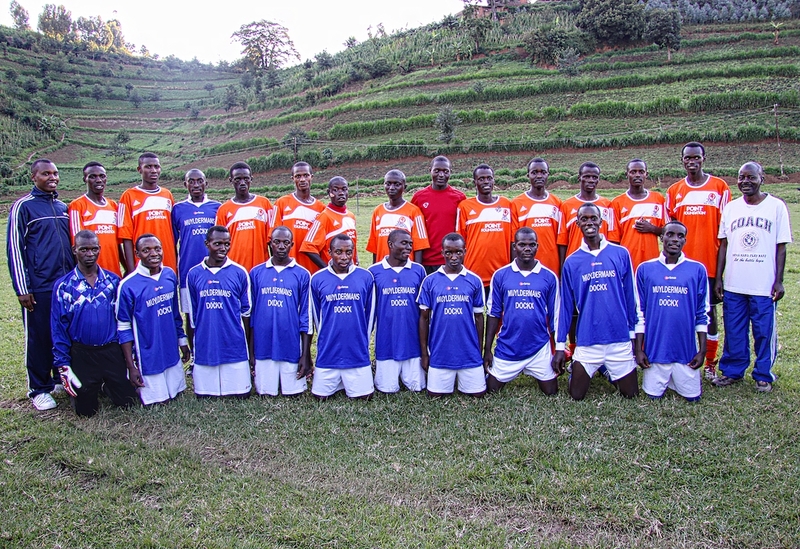 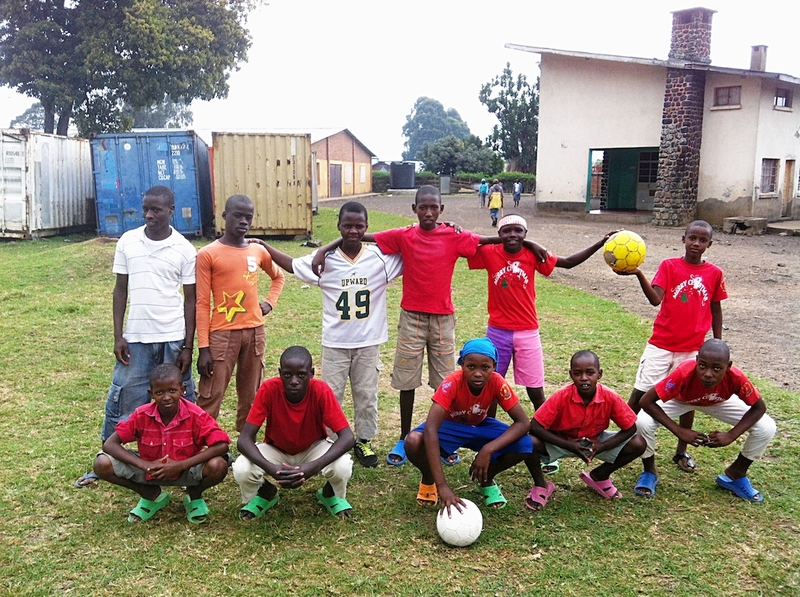 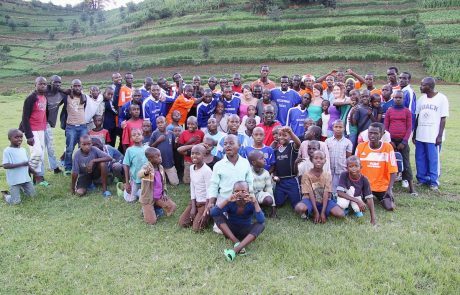 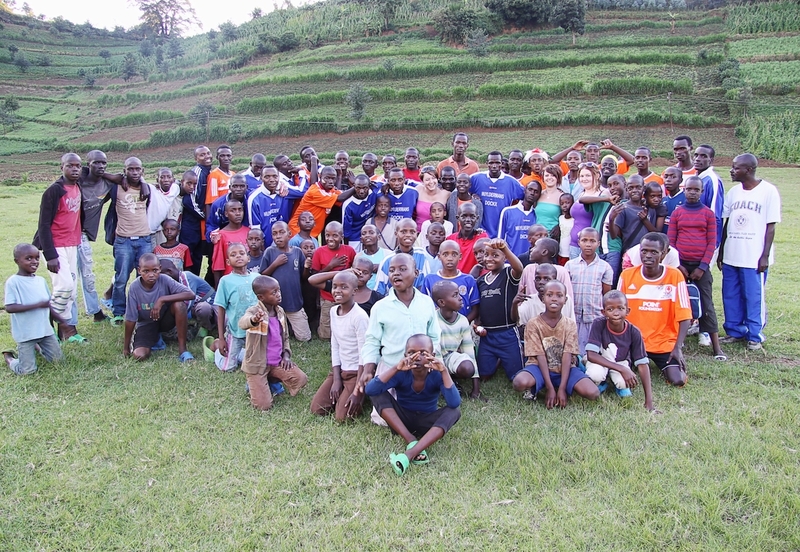 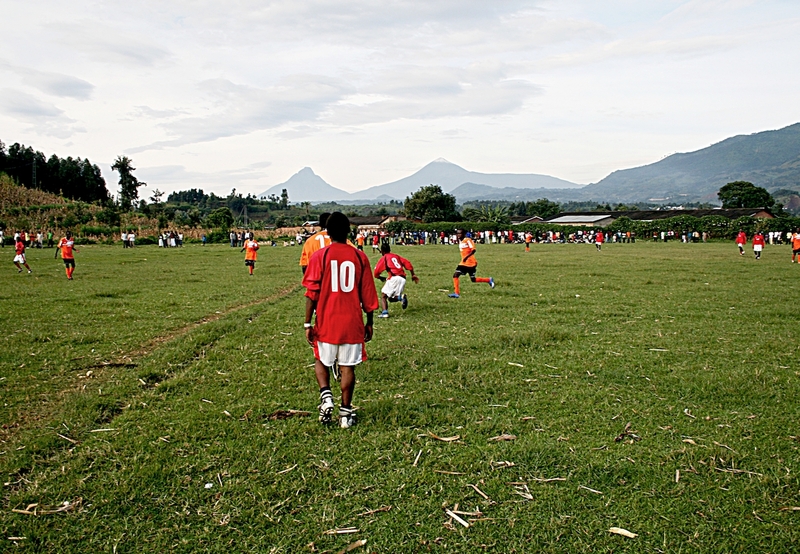 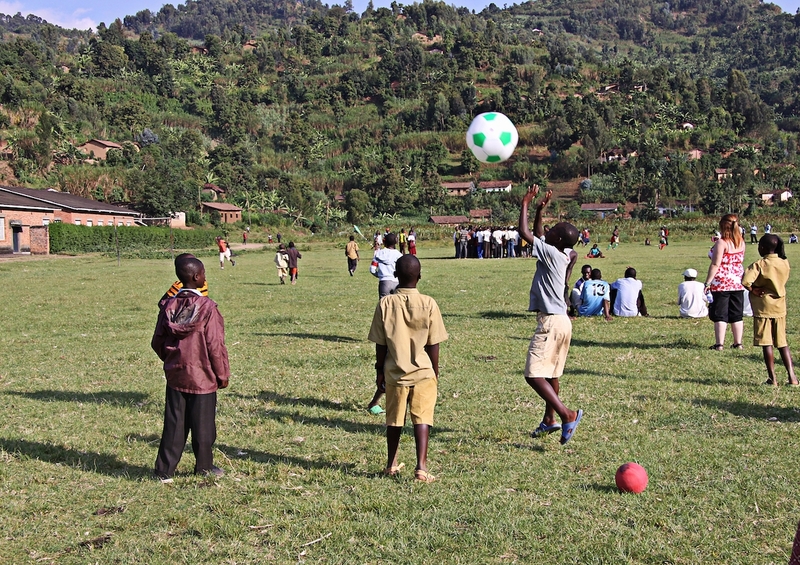 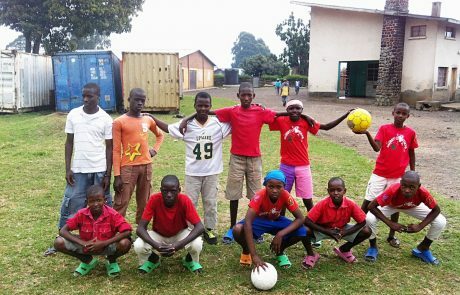 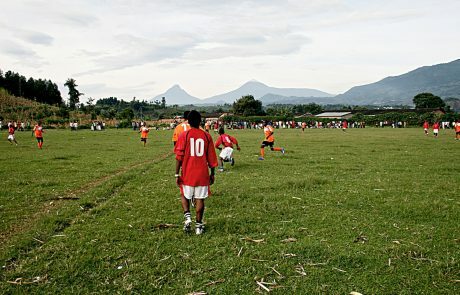 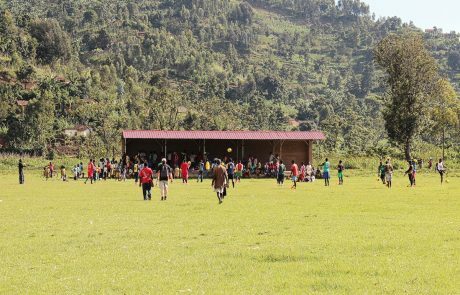 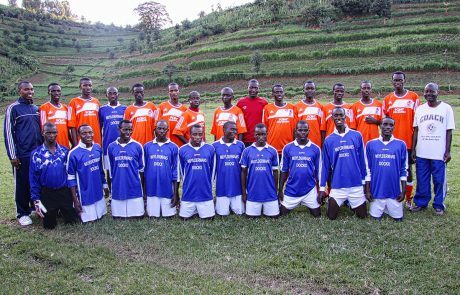 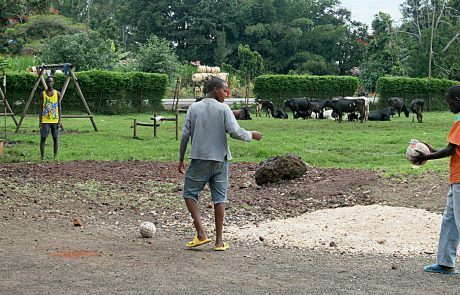 Football was a popular passion & the Noel Football Team played regular matches in the community field near Nyundo Cathedral. 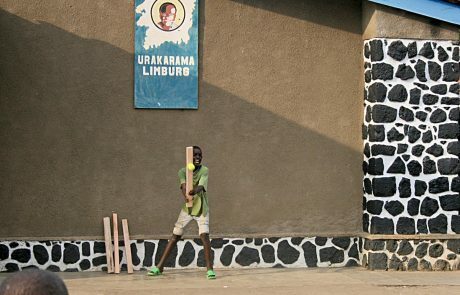 Hundreds of children would walk up the road to watch the matches. 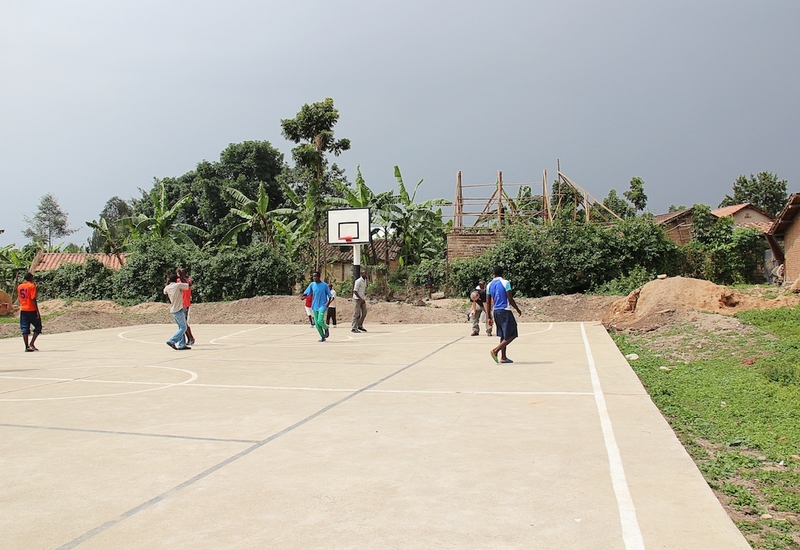 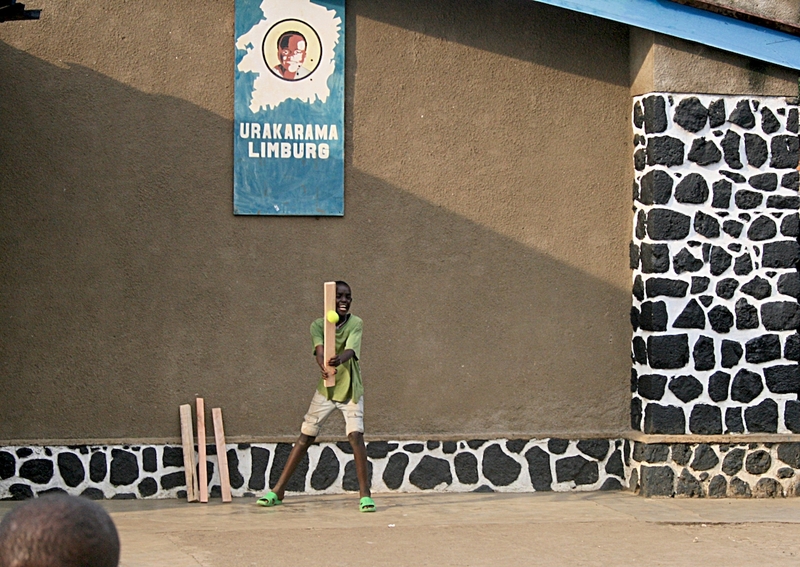 The community field was also used by volunteers who’d take groups of children there to play ball games. 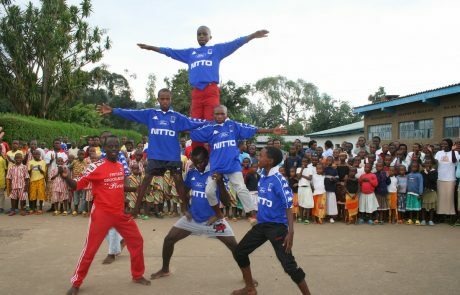 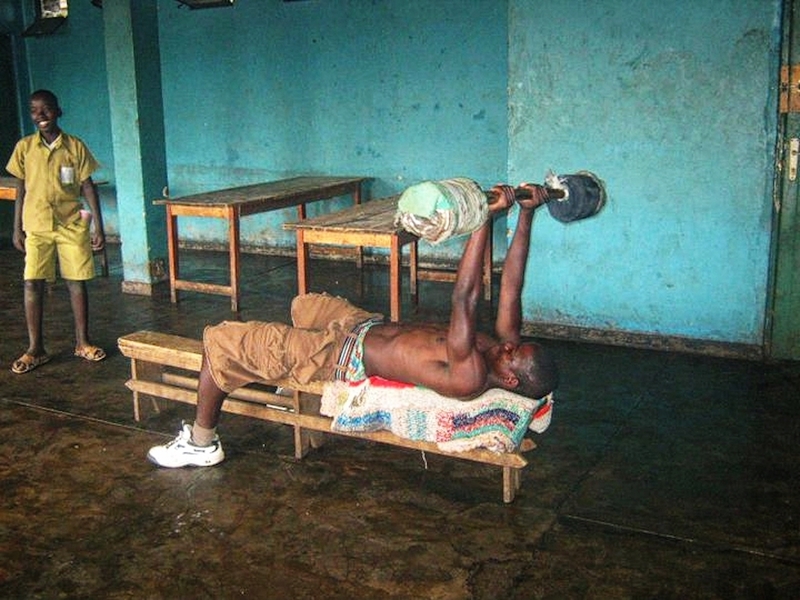 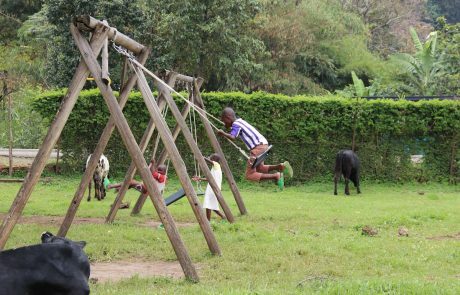 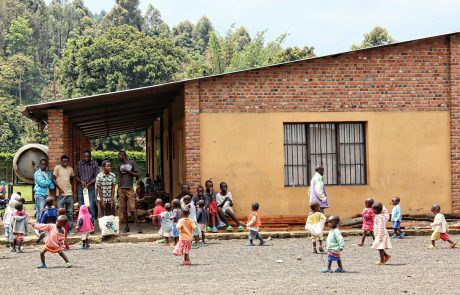 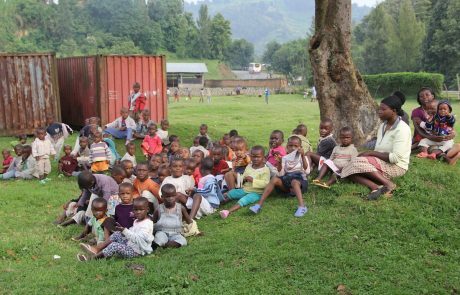 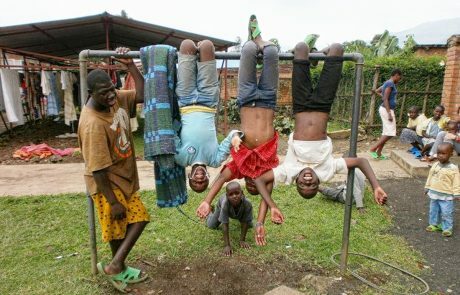 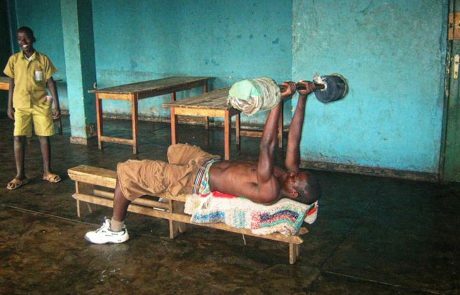 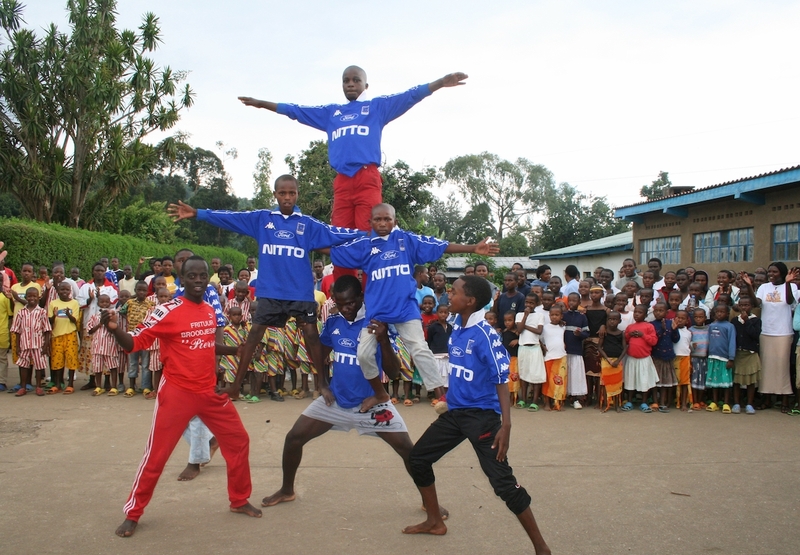 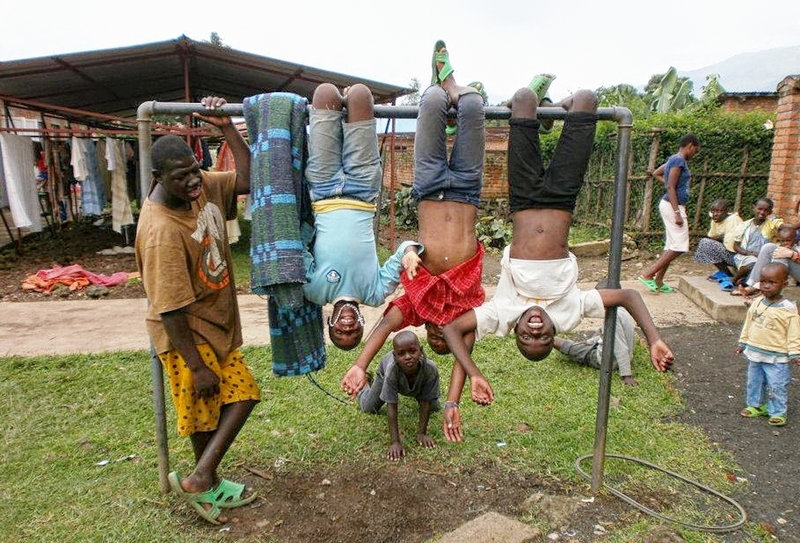 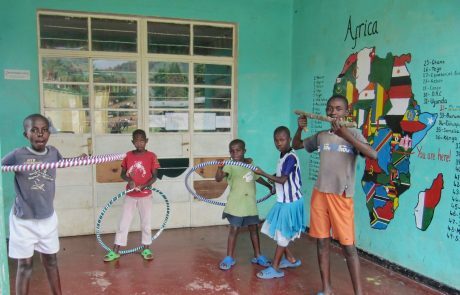 Some boys formed a gymnastic display team as most boys were adept at jumping, leaping and flips in true Rwandan fashion and older youth devised homemade gyms to keep fit.